Earn $3.83 in Rewards credit (383 points) What's This? Quality and style at a friendlier price. 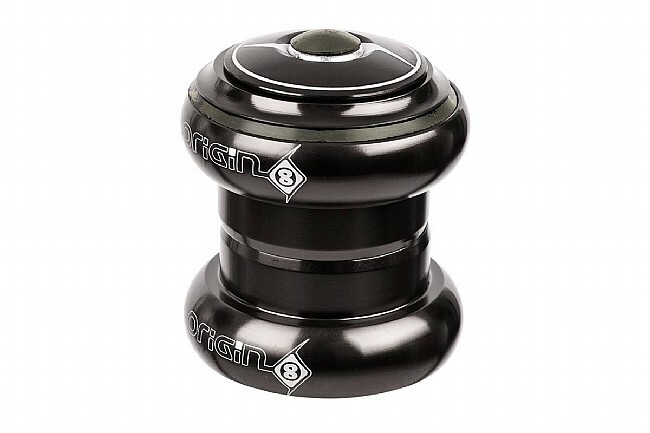 The Origin-8 Pro-Pulsion Torq-Lite Theadless Headset features CNC machined 7075 aluminum alloy cups and sealed cartridge bearings for precise, hassle-free performance with easy maintenance down the line. Plenty of color options and discrete logos ensure a perfect look for every ride, and the anodized finish resists chips and scratches. The Pro-Pulsion Torq-Lite Headset fits 1-1/8" threadless fork steerer tubes and features a 28.5mm stack height and laser etched logos. Available colors: Black, Silver, Blue, Red, Green and Gold. 94g.